​Calcium deposits or scaling on your swimming pool tiles can make even a newer pool look likes its decades old. Your pool water naturally has calcium mineral content in it. When your pool water evaporates, minerals like calcium are left behind and attach to the pool tiles. Calcium Carbonate appears as a white scabby material. It's easier to remove than the other type of calcium deposit; Calicum Silicate. Many pool owners try to remove calcium scale with certain acids available at pool supply stores. If you're willing to do the work, these acids will easily remove calcium carbonate, but not calcium silicate. You may want to try stain erasers and scale and stain pool water additives available at pool supply stores first to see if your calcium deposits are calcium carbonate. Like mentioned before, if they don't work, then you're probably dealing with calcium silicate and need to call a professional to remove the scale via bead blasting. 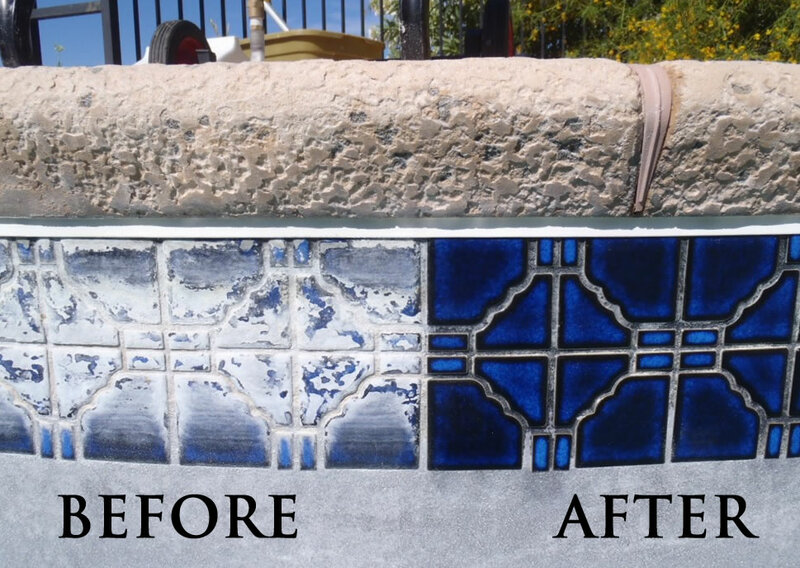 Simi Valley Pool Repair's trained professionals can clean your pool tiles by removing both types of calcium scale. Please use the form on the right to get a pool tile cleaning quote or call us directly.